Instagram 2 | Cosa Mi Metto??? Here is a second appointment with my instalife: these are same of the photos I shared on instagram in these days! To discover new photos everyday follow my profile @cosa_mi_metto or if you don't have instagram, you can see all my photos on the web version. Ecco il secondo appuntamento con la mia vita su instagram: queste sono alcune delle foto che ho condiviso su instagram in questi giorni! Per scoprire nuove foto tutti i giorni seguite il mio profilo su @cosa_mi_metto o se non avete instagram, potete vedere tutte le mie fotografie nella versione web. Belle foto! Anch'io oggi ho postato una serie di foto random, passa a vederle se ti va! Of course we are already following each other...love instagram! 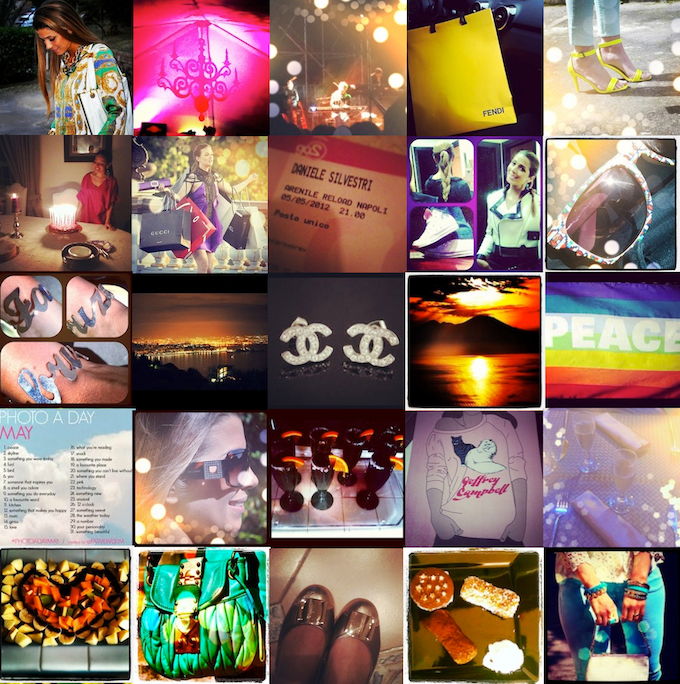 lovely pictures :-) so is this instagram working like blogger but with pictues only? it's more like facebook, but with pictures only! And with comments and likes!! I'm following you back on instagram dear! Belle foto, soprattutto quella con le buste da shopping convulso!!! Great info!!! I've just downloaded it!!! pls follow me, Fabrizia!!! The next month maybe I'll go to Rome!!! I live in Naples but I'm often in Rome because my family still live there! instagram is pretty amazing and addicting.. hha.. happy capturing! sure i follow u. thanks for visiting my blog. Fab pictures.. I have to join this instagram wagon soon..
Gorgeous photos, I'll have to find you on instagram! I will appeal to the professionals from All-smm for cheating Instagram views. I had a limited budget and high demands. Yes, I am a favorite client of many companies. But on the site https://it.all-smm.com/, I found some suitable services and decided to buy Instagram likes. they did their work quickly! The concept behind Instagram Stories is that they are easy to compare,video views on Instagram and as they are only accessible for 24 hours, people are encouraged to see them quickly.